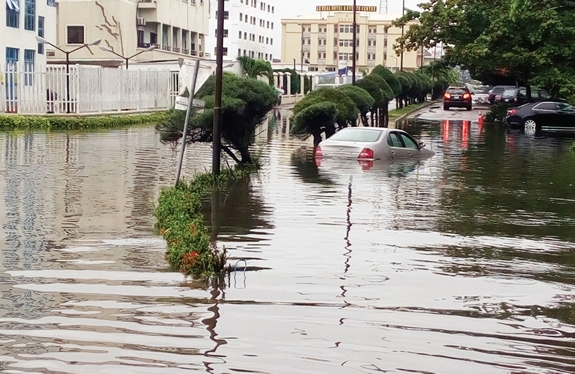 As the Nigerian Meteorological Agency and Nigeria Hydrological Services Agency have predicted intense flooding across the country this year, the FG has directed residents of flood prone areas to quickly evacuate. The Buhari-led Federal Government have on Tuesday directed residents of flood prone areas to quickly evacuate to safer places to avoid impending danger as environmental experts had predicted intense flooding across the country this year. Director General of National Orientation Agency (NOA), Dr. Garba Abari, who gave the advice, said residents of the states and councils listed should take it seriously by taking measures to move out of the areas in the first instance to safeguard assets and property in and around the area. Abari also urged Nigerians to adopt simple environmental safeguards, including opening of waterways and stopping the dumping of refuse in gutters, among others. He further warned Nigerians to stop building houses along designated water channels to avoid blockage that could cause flooding. The DG tasked State and Local Governments to brace up to their responsibility of clearing drainages and possibly invoke environmental laws towards flood mitigation in the country.